Discussion in 'Forum Introductions (Who are you!?)' started by Karume, Aug 21, 2018. 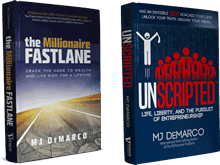 I'm new to this forum and I have read The Millionaire Fastlane by MJ DeMarco and I'm so much inspired. I have been a freelance journalist for almost a decade but I have found it very unsatisfying. 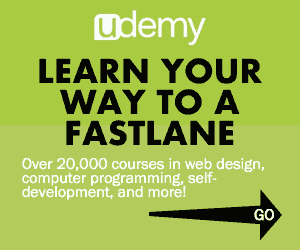 I want to start a fastlane business from scratch, especially that I want to get involved in the health, fitness and wellness industry. Sometimes, it's not only about being a sidewalker, slowlaner and broke only, but, being unhealthy is the other side of the coin. Being broke and sick is terrible. I believe of being rich and healthy is ideal. So, if we can help many get wealthy, healthy and happy, that's can be the best way to add value to someone's life. What do you think? Can health, fitness and wellness suit to a fastlane business? Any advice? Thank you. Can health, fitness and wellness suit to a fastlane business? Can you skew value on something? I think there is a huge possibility to add value to someone's life by providing him or her with the best approaches to lead a healthy life. We are sometimes busy getting wealthy but less busy getting healthier. As the old saying goes on to say: "Prevention is better than cure." Living a healthy conscious life is preventing oneself from being sick. Wealth without health isn't wealth. I'm just pondering and finding ways to come up with something valuable for many throughout the globe. Thank you.